Experience Whangarei on a Budget! The hub of the Northland region of New Zealand is the perfect place for backpackers and travellers on a budget. The city is has free attractions in and around the city so you don’t have to worry about spending too much when exploring Whangarei. 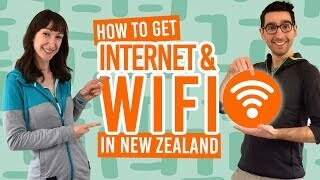 With that in mind, we put this list together of the top free and cheap things to do in Whangarei! While there are some free and cheap activities on this list that you can access on foot from Whangarei city centre, note that a lot of the attractions are spread out across the city. Having your own transport will make it easier to see all these free things to do in Whangarei. 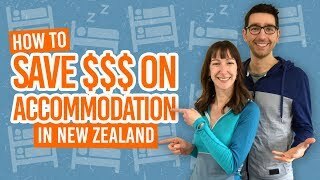 If you want to save more money, consider staying in one of the 5 Best Backpacker Hostels in Whangarei for some cheap accommodation. Plus, don’t forget to check out our Whangarei – Guide for Backpackers for more inspiration on your stay in the “Winterless North”. Arguably the most-visited natural feature in Whangarei, Whangarei Falls is a must-do on any Northland itinerary! It’s hard not to be impressed by this 26m waterfall accessible only moments away from the car park. Extend the experience by getting different views of the falls on a 30-minute loop walk, or even follow the walking tracks down the Hatea River for a pleasant bush walk. Just a mere 10-minutes drive from the city centre of Whangarei is the Abbey Caves! A 2-hour loop walk takes you across farmland and native forest with interesting limestone outcrops and three free caves to explore. Check out the clusters of glowworms and small stalactites. Check out this article for more free glowworm caves around New Zealand. The words “Quarry” and “Gardens” are not often seen in the same sentence, but after you have seen what volunteers have achieved at the Whangarei Quarry Gardens you’ll see anything is possible! This quarry turned sub-tropical paradise benefits from the sub-tropical climate perfect for weird and wonderful plants from all over the world. Enjoy the network of walkways and have a bite to eat at the on-site cafe. For some of the best views in the Whangarei area, climb to the top of Mt Manaia! This 2-hour return walk is steep but well worth the effort for views overlooking the Whangarei Heads and Whangarei Harbour. Plus, you’ll walk through kauri forest and see the huge rugged pinnacles at the peak of the mountain. Location: Whangarei Heads Road. (30 minutes drive from Whangarei city). This free and perfect rainy day activity incorporates both a fernery and conservatory with a mix of exotic and native plants. The fernery holds one of the largest collection on native ferns in New Zealand with one of the highlights being the resident eels. On the other side of Botanica is the conservatory holding interesting displays of cacti, tropical plants and Japanese gardens. See who’s currently in recovery at the Whangarei Native Bird Recovery Centre. This native bird hospital has aviaries open to the public, either free or by donation, so you can check out some of the birds before they are released into the wild. You could see kingfisher, morepork, harrier hawks and more. Plus, you might be lucky enough to meet the permanent resident, Sparky the kiwi or the talking tui! Moving onto one of the cheap things to do in Whangarei that certainly won’t break the bank is Claphams Clock Museum. If the 2,100 clocks and timepieces at this museum don’t amaze you, then the museum building itself might! Who can complain at just NZ$10 entry per adult? This stunning forest is a must-do if you are looking to escape to nature in Whangarei! The AH Reed Kauri Park is home to 500-year-old kauri trees, as well as other native tree species. Walk the Canopy Walkway for a birds-eye-view on the nikau palm trees and walk to the hidden gem of Whangarei, Pukenui Falls. The Kauri Park can be accessed via the Hatea River Walkway from Whangarei Falls or by the car park. For a good dose of culture, take a look around the Whangarei Art Museum with its ever-changing displays of local and international art. There is a mix of heritage and contemporary pieces to enjoy in this free-entry venue. Location: The HUB, Dent Street. Everyone loves mini golf, but glow-in-the-dark mini golf is a whole new level of fun! Play 18 holes through 7 different themed areas. Extreme Mini Golf World is NZ$15 per person (or NZ$10 on a Wednesday), so it rightfully earns its place on this list of free and cheap things to do in Whangarei! One of the most picturesque places in the Whangarei city centre, the Town Basin Marina is a water-side area packed with cafes, eateries, galleries, museums, a children’s playground and petanque court. It’s a great place to sit back and watch the people and yachts go by. Location: Quayside, just off Dent Street. Walk or cycle the 4.2km Hatea Loop. The walk begins in the Town Basin (see above) and follows the waterfront incorporating sculpture art from local Maori artists. Walk across the elegant footbridge known as “Kotuitui Whitinga” and see the impressive Te Matau a Pohe opening bridge. There are information panels along the walkways telling the local history. Location: Begins and ends at the Town Basin on Quayside. Follow the well-marked signs and pathway. Experience a real Kiwi market with arts, crafts and local produce for sale! You’ll pick up some authentic souvenirs to take home and try some yummy treats. There’s also live music adding to the vibe. The Artisans Fair Markets run every Saturday from Labour Weekend in October to April. For more art and culture in Whangarei, check out the Reyburn House Art Gallery. The gallery is set inside a heritage home displaying art from local artists. The exhibits are everchanging so who knows what you will discover?! There are gifts for sale too. Location: Reyburn House Lane, Whangarei Town Basin. It’s hard to miss this ancient volcano standing prominently in the Whangarei skyline. Hiking to the top of Mt Parihaka will give you some awesome views of Whangarei and the Whangarei Harbour. There are three walks accessible from the city or you can simply drive to the summit. For around NZ$20 adult admission, Kiwi North is definitely a cheap thing to do in Whangarei! What’s more, you’re sure to get good value for money with access to a kiwi house, gecko and tuatara enclosures, native fish aquariums, the Whangarei Museum and the Whangarei Heritage Park! It’s a full day out! Want another thing you can do in Whangarei for $20? Check out the unique collection of Packard cars, as well as other vintage vehicles at the Packard & Pioneer Museum. There are all sorts of treasures to discover! The museum is open Wednesday to Saturday. Location: Old Dairy Factory, State Highway 14, Maungatapere. Bank Street is a foodies paradise, so depending on how much you order, it could be a pretty cheap thing to do in Whangarei! The street is full of cafes, late night restaurants, bars, live entertainment and more! It’s also the street to head for if you want to do some shopping or even get a new tattoo! Location: Bank Street, Whangarei city centre. 19. Grab a cheap deal on activities on our Deals page! That’s right, we often have some amazing deals on activities in Whangarei for under NZ$20! Take a look at our exclusive Whangarei deals over on the BackpackerGuide.NZ DEALS tab.